Thanks for much to Jerry Lamb, son of Charles Lamb for sharing his Dad's photos and unit history! This entry was posted on 8:39 PM and is filed under 746th Railway Operating Battalion , Unit History . You can follow any responses to this entry through the RSS 2.0 feed. You can leave a response, or trackback from your own site. 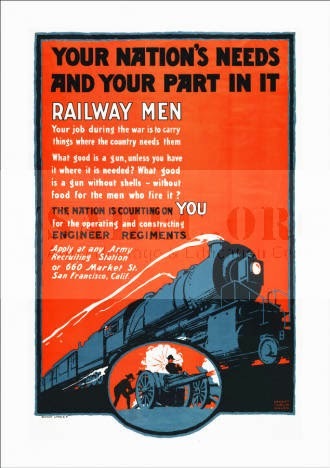 If you have any materials connected to these great Army Railway units please share them here with the families of the soldiers. If you are a collector or memorabilia dealer PLEASE share copies or scans of items BEFORE you sell these priceless materials to private collectors . I will hold the copies until after they sell. It means so much to the families of the guy's that actually served in these units. I try to buy items when they becomes available, but I do not have unlimited funds - consider making a donation to help this archive! Use PayPal link above ! Guest Book - Please sign !